Wielki Przeorat Polski Zakonu Rycerzy Chrystusa i Świątyni Jerozolimskiej jest katolickim rycerskim i braterskim związkiem pobożnym (pia unio) – katolickim prywatnym stowarzyszeniem wiernych – instytucją Kościoła Katolickiego Obrządku Melchickiego, zatwierdzonym przez Świątobliwego Patriarchę Antiochii, całego Wschodu, Aleksandrii i Jerozolimy Józefa I Absi dnia 12 grudnia 2018 roku, po prawie 15 latach działalności na rzecz Kościoła. Oryginalna treść Statutu Autonomicznego jest w języku angielskim. Whereas We have thought fit to reward the courage and bravery of the Sodalists of the Grand Priory of Poland of the Ordo Militiae Christi Templi Hierosolymitani with preaching the Gospel of Our Lord Jesus Christ . Whereas We can see your perpetual loyalty to the Church and to the Catholic teaching. We do by these Presents grant upon you this chivalric Autonomous Statute General for the Grand Priory of Poland of the Ordo Militiae Christi Templi Hierosolymitani together with all and singular the privileges thereunto belonging or appertaining. 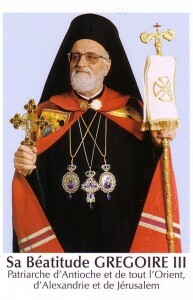 The Ordo Militiae Christi Templi Hierosolymitani, hereinafter referred as the OMCTH, is the International Federation of Grand Priories, protected and approved and staying under Spiritual Protection of the Patriarchate of Antioch and all the East, of Alexandria and of Jerusalem of the Greek-Melkite-Catholic Church, with every Patriarch as the Spiritual Protector. 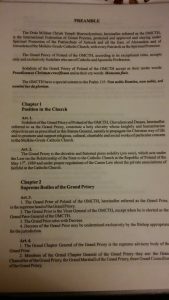 The Grand Priory of Poland of the OMCTH, according to its exceptional rules, accepts only and exclusively Sodalists who are of Catholic and Apostolic Profession. 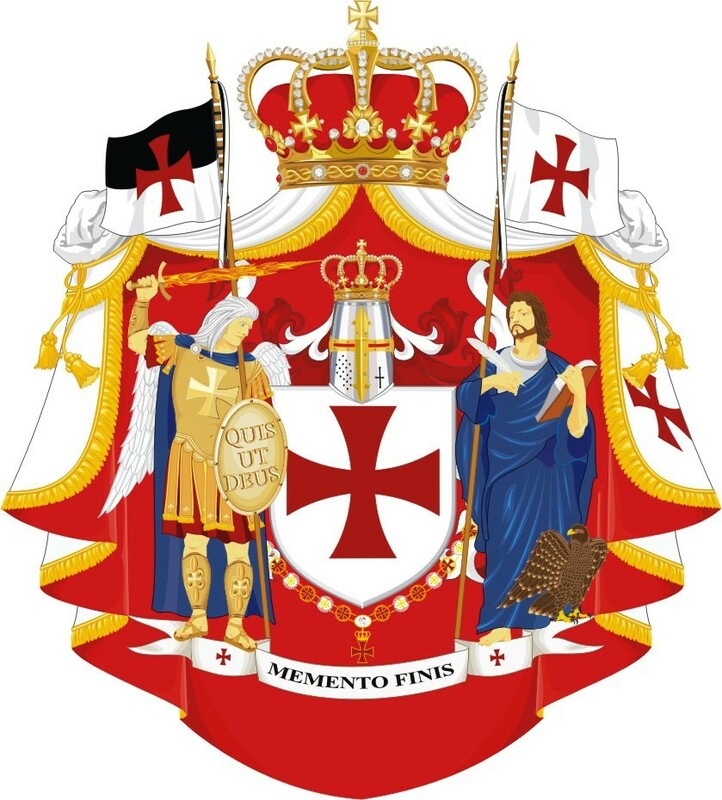 Sodalists of the Grand Priory of Poland of the OMCTH accept as their motto words: Praedicamus Christum crucifixum and as their cry words: Memento finis. 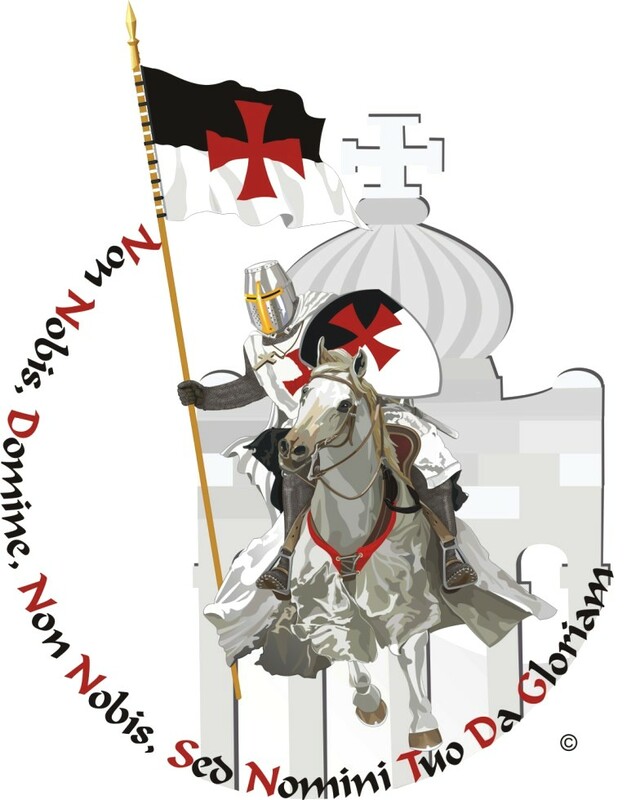 The OMCTH have a special esteem to the Psalm 115: Non nobis Domine, non nobis, sed nomini tuo da gloriam. 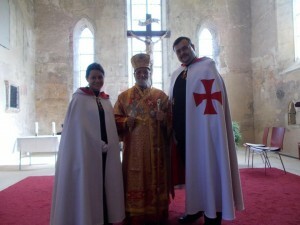 Sodalists of the Grand Priory of Poland of the OMCTH, Chevaliers and Dames, hereinafter referred to as the Grand Priory, constitute a holy chivalry whose knightly and humanitarian objectives are as prescribed in this Statute General, namely to propagate the Christian way of life and to promote and support religious, cultural, charitable and social works of particular concern to the Melkite-Greek-Catholic Church. The Grand Priory is the chivalric and fraternal pious sodality (pia unio), which acts under the Law on the Relationship of the State to the Catholic Church in the Republic of Poland of the May 17th, 1989 and under proper regulations of the Canon Law about the private associations of faithful in the Catholic Church. 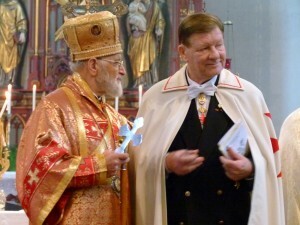 The Grand Prior of Poland of the OMCTH, hereinafter referred as the Grand Prior, is the supreme head of the Grand Priory. 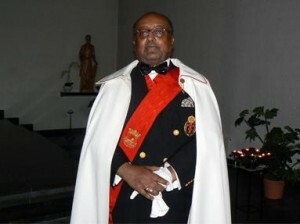 The Grand Prior is the Vicar General of the OMCTH, except when he is elected as the Grand Prior General of the OMCTH. 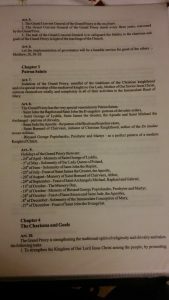 The Grand Prior rules with Decrees. Decrees of the Grand Prior may be undermined exclusively by the Bishop appropriate for the jurisdiction. The Grand Chapter General of the Grand Priory is the supreme advisory body of the Grand Prior. Members of the Grand Chapter General of the Grand Priory they are: the Grand Chancellor of the Grand Priory, the Grand Marshall of the Grand Priory, three Grand Councillors of the Grand Priory. The Grand Convent General of the Grand Priory is the vox fratri. The Grand Convent General of the Grand Priory meets every three years, convened by the Grand Prior. The task of the Grand Convent General is to safeguard the fidelity to the charisma and goals of the Grand Priory in light of the teachings of the Church. Let the implementation of governance will be a humble service for good of the others – Matthew, 20, 20-28. Sodalists of the Grand Priory, mindful of the traditions of the Christian knighthood and of a special worship of the mediaeval knights to Our Lady, Mother of Our Savior Jesus Christ, entrusts themselves totally and completely in all of their activities to the Immaculate Heart of Mary. – Blessed George Popiełuszko, Presbyter and Martyr – as a perfect pattern of a modern Knight of Christ. – 27th of December – Feast of Saint John the Evangelist. To strengthen the Kingdom of Our Lord Jesus Christ among the people, by promoting values of the Gospels and the practice of the virtues of justice, of mercy and of charity. To defend the Faith, the One, Holy, Catholic and Apostolic Church and the Christian civilization. 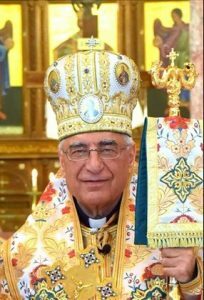 To co-operate strictly with the Greek-Melkite-Catholic Church to strengthen the Christianity in the Middle East and worldwide. To help abandoned, poor and sick. To defend innocents from injustice. 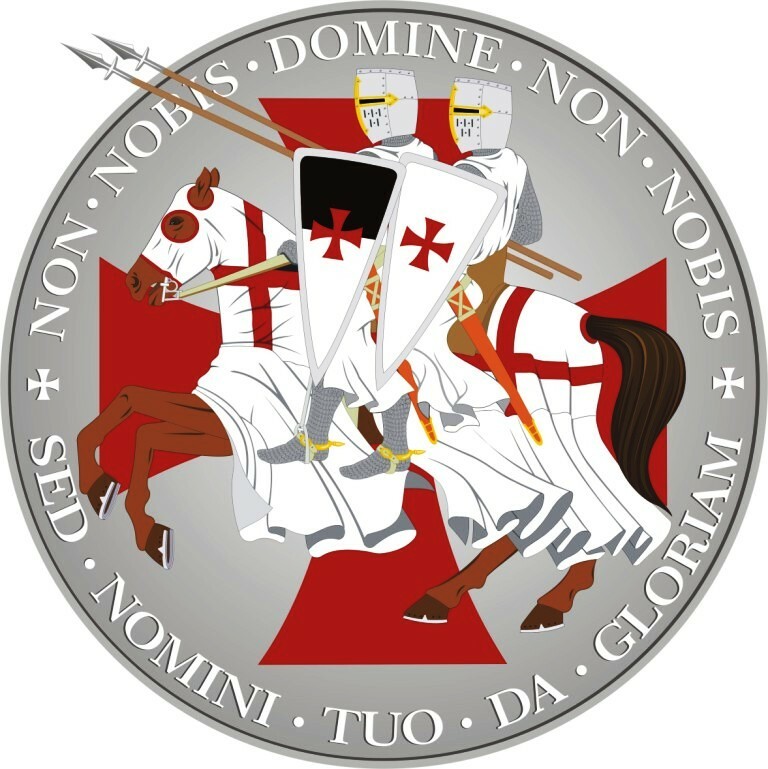 To support the research and the scientific projects, the conservation and restoration works of monuments and of archives, which reveal the historical truth about the mediaeval Order of the Poor Soldiers of Christ and the Temple of Solomon and to testify the mediaeval Knights Templar zeal of faith and their faithfulness to the Church. Sodalists of the Grand Priory, mindful of the vocation of all Christians to personal holiness and to evangelization, and being aware of teaching of Our Lord Jesus Christ and of the mission of His Mother and Our Lady, Mary, in the Church in the world, set as their main task the spreading of the Kingdom of Christ in Earth by taking the works of apostolate, related to the evangelization and to exercise the works of piety and charity. Sodalists of the Grand Priory, living in described for each of them environments and communities, are obliged to bear witness of Christian knighthood, seeking to grow in knowledge of the Savior. Everyone is recommended to the daily reading and contemplation of the Holy Bible, especially of the Gospels. 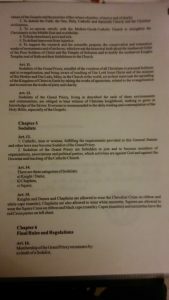 Catholic, man or woman, fulfilling the requirements provided in this General Statute and other laws may become Sodalist of the Grand Priory. Sodalists of the Grand Priory are forbidden to join and to become members of organizations, associations and political parties, which activities are against God and against the Doctrine and teaching of the Catholic Church. Knights and Dames and Chaplains are allowed to wear the Chevalier Cross on ribbon and white cape (mantle), Chaplains are also allowed to wear white mozzetta, Squires are allowed to wear the Squire Cross on ribbon and black cape (mantle). Capes (mantles) and mozzettas have the red Cross pattee on left chest. the existence of the conditions of Art. 17 of this General Statute. not to fulfill the obligations laid down in the laws of the Grand Priory. 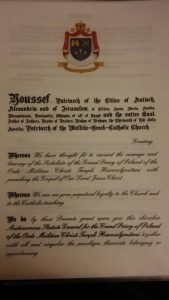 Resolutions of the Grand Convent General of the Grand Priory. The Grand Priory can be abolished or suspended by the decision taken by the Grand Convent General of the Grand Priory, with majority of the 3/5 of the votes, in the presence of at least 3/5 members entitled to vote and unopposed and confirmed in writing by the Spiritual Protector. The original text is this in English language. The Statute General comes into force on the day of signing by His Beatitude the Patriarch of Antioch and all the East, of Alexandria and of Jerusalem of the Melkite-Greek-Catholic Church. 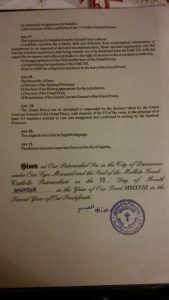 Given at Our Patriarchal See in the City of Damascus under Our Sign Manual and the Seal of the Melkite-Greek-Catholic Patriarchate on the XII Day of Month DECEMBER in the Year of Our Lord MMXVIII in the Second Year of Our Pontificate. Zważywszy, że widzimy Waszą nieustającą lojalność dla Kościoła i katolickiego nauczania. Tu oto prezentujemy i nadajemy Wam ten rycerski Autonomiczny Statut Generalny dla Wielkiego Przeoratu Polski Ordo Militiae Christi Templi Hierosolymitani wraz z każdym pojedynczym oraz wszystkimi przywilejami, które już przynależą albo będą przynależeć w przyszłości. Ordo Militiae Christi Templi Hierosolymitani, zwany dalej OMCTH, jest Międzynarodową Federacją Wielkich Przeoratów, ochranianą, popieraną i pozostającą pod Protektoratem Duchowym Patriarchatu Antiochii i całego Wschodu, Aleksandrii i Jerozolimy Kościoła Melchicko-Grecko-Katolickiego z każdorazowym Patriarchą jako Protektorem Duchowym. Wielki Przeorat Polski OMCTH, zgodnie ze swymi unikatowymi zasadami przyjmuje tylko i wyłącznie Sodalistów Wiary Katolickiej i Apostolskiej. Sodaliści Wielkiego Przeoratu Polski OMCTH przyjmują za swoje motto słowa: Praedicamus Christum crucifixum, a za swoje zawołanie słowa: Memento finis. 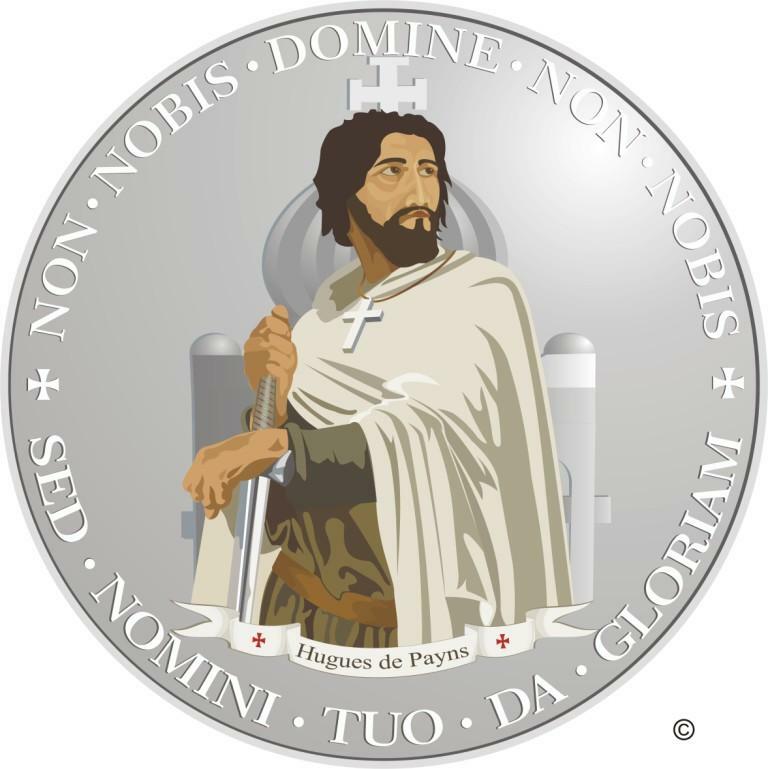 OMCTH żywi szczególną cześć dla słów Psalmu 115: Non nobis Domine, non nobis, sed nomini tuo da gloriam. Sodaliści Wielkiego Przeoratu Polski OMCTH, Kawalerowie i Damy, zwani dalej Wielkim Przeoratem, konstytuują święte rycerstwo, którego obowiązki rycerskie i humanitarne są opisane w tym Statucie Generalnym, a szczególnie dla promowania chrześcijańskiego stylu życia oraz dla promowania i wspierania dzieł religijnych, kulturalnych, charytatywnych i społecznych oraz szczególnej troski o Kościół Melchicko-Grecko-Katolicki. Wielki Przeorat jest rycerskim i braterskim związkiem pobożnym (pia unio), działającym według Ustawy o stosunku Państwa do Kościoła Katolickiego w Rzeczypospolitej Polskiej z dnia 17 maja 1989 roku oraz odpowiednich regulacji prawa kanonicznego, odnoszących się do prywatnych stowarzyszeń wiernych w Kościele Katolickim. Wielki Przeor Polski OMCTH, zwany dalej Wielkim Przeorem, jest najwyższa władzą Wielkiego Przeoratu. Wielki Przeor jest Wikariuszem Generalnym OMCTH, oprócz przypadku, kiedy zostanie wybrany Wielkim Przeorem Generalnym OMCTH. Dekret Wielkiego Przeora może być uchylony jedynie przez właściwego Biskupa. Wielka Kapituła Generalna Wielkiego Przeoratu jest najwyższym ciałem doradczym Wielkiego Przeora. Członkami Wielkiej Kapituły Generalnej Wielkiego Przeoratu są: Wielki Kanclerz Wielkiego Przeoratu, Wielki Marszałek Wielkiego Przeoratu, troje Wielkich Radców Wielkiego Przeoratu. Wielki Konwent Generalny Wielkiego Przeoratu to vox fratri. Wielki Konwent Generalny Wielkiego Przeoratu spotyka się co trzy lata, zwoływany przez Wielkiego Przeora. Zadaniem Wielkiego Konwentu Generalnego jest zapewnienie wierności charyzmatowi i celom Wielkiego Przeoratu w świetle nauczania Kościoła. Niech sprawowanie władzy będzie pokorną służbą dla doba innych – Mateusz, 20, 20-28. Sodaliści Wielkiego Przeoratu, pomni na tradycję chrześcijańskiego rycerstwa i specjalną cześć oddawaną przez średniowiecznych rycerzy Naszej Pani, Matce Naszego Zbawiciela Jezusa Chrystusa, zawierzają siebie całkowicie i zupełnie w swojej działalności Niepokalanemu Sercu Maryi. – Błogosławionemu Jerzemu Popiełuszce, prezbiterowi i męczennikowi – doskonałemu wzorowi współczesnego Rycerza Chrystusa. – 27 grudnia – Święto Świętego Jana Ewangelisty, Apostoła. Umacnianie Królestwa Naszego Pana Jezusa Chrystusa wśród ludzi poprzez promocję wartości Ewangelii oraz praktykowanie cnót sprawiedliwości, miłosierdzia i dobroczynności. Obronę Wiary, obronę Jednego, Świętego, Katolickiego i Apostolskiego Kościoła oraz chrześcijańskiej cywilizacji. Ścisłą współpracę z Patriarchatem Melchicko-Grecko-Katolickim dla wzmocnienia chrześcijaństwa na Bliskim Wschodzie i na świecie. Pomoc opuszczonym, biednym i chorym. Wspieranie badań i projektów naukowych, konserwacja i restauracja dzieł i budowli oraz archiwów, odkrywających historyczną prawdę o średniowiecznym Zakonie Ubogich Rycerzy Chrystusa i Świątyni Salomona, ukazujących oddanie Wierze przez średniowiecznych templariuszy i ich wierność Kościołowi. Sodaliści Wielkiego Przeoratu, pomni na powołanie wszystkich chrześcijan do świętości osobistej i do ewangelizacji oraz świadomi nauczania Pana Naszego Jezusa Chrystusa oraz misji Jego Matki, a Naszej Pani Maryi w Kościele i w świecie, jako główne zadanie stawiają sobie szerzenie Królestwa Chrystusowego na Ziemi przez podejmowanie dzieł apostolatu, związanych z ewangelizacją oraz wykonywaniem dzieł pobożności i miłości. Sodaliści, żyjąc w przypisanych sobie środowiskach i wspólnotach świeckich i duchownych, winni są swoim przykładem dawać świadectwo chrześcijańskiego rycerstwa. Dążąc do coraz lepszego poznawania Zbawiciela zaleca się codzienne czytanie i rozważanie Pisma Świętego, zwłaszcza Ewangelii. Katolik, mężczyzna albo kobieta, spełniający wymagania przewidziane niniejszym Statutem Generalnym I innymi prawami może zostać Sodalistą Wielkiego Przeoratu. Sodalistom Wielkiego Przeoratu zakazuje się przystępować i zostawać członkami organizacji, związków, stowarzyszeń i partii politycznych, które działają przeciw Panu Bogu oraz doktrynie i nauczaniu Kościoła katolickiego. Rycerze (Kawalerowie) i Damy oraz Kapelani mają prawo do noszenia Krzyża Rycerskiego na wstążce oraz białego płaszcza (peleryny), Kapelani mogą też nosić biały mucet, Giermkowie mają prawo do noszenia czarnego płaszcza (peleryny). Płaszcze (peleryny) i mucety mają czerwony Krzyż pattee na lewej piersi. c) wyczerpania znamion Art. 17 tego Statutu Generalnego. nie wypełniania obowiązków nałożonych przez prawa Wielkiego Przeoratu. Uchwały Wielkiego Konwentu Generalnego Wielkiego Przeoratu. Wielki Przeorat może zostać zniesiony albo zawieszony decyzją podjęta przez Wielki Konwent Wielkiego Przeoratu większością 3/5 głosów, przy obecności przynajmniej 3/5 uprawnionych do głosowania, do której decyzji nie wniesie sprzeciwu i potwierdzi ją pisemnie Protektor Duchowy. Tekst oryginalny to tekst w języku angielskim. Statut Generalny wchodzi w życie z dniem podpisania. Dano w Stolicy naszej Patriarchalnej w Mieście Damaszku, co dla większej wagi tych słów potwierdzamy naszym odręcznym podpisem i Pieczęcią Patriarchatu Grecko-Melchicko-Katolickiego w XII dniu miesiąca GRUDNIA w Roku Naszego Pana MMXVIII, drugim roku naszego Pontyfikatu. Wielce Błogosławiony Józef I Absi, Patriarcha miast Antiochii, Aleksandrii i Jeruzalem, Cylicji, Syrii, Iberii, Arabii, Mezopotamii, Pentapolis, Etiopii, całego Egiptu i całego Wschodu, Ojciec Ojców, Pasterz Pasterzy, Biskup Biskupów, Trzynasty spośród Świętych Apostołów, Patriarcha Melchickiego Kościoła Grecko-Katolickiego w pełnej jedności z Rzymem. Wielce Błogosławiony Patriarcha Józef I Absi jest Protektorem Duchowym OMCTH od roku 2017. Jego Cesarska Wysokość książę dr Asfa-Wossen Asserate, Książę Etiopii jest Protektorem Królewskim Ordo Militiae Christi Templi Hierosolymitani. J.C.W. Książę Asfa-Wossen Asserate jest prawnukiem J.C.M. Haile Selassie I, ostatniego panującego Cesarza Etiopii. Jest naukowcem i dziennikarzem, żyjącym na emigracji we Frankfurcie nad Menem. Książę został Protektorem Królewskim Templariuszy OMCTH 14 sierpnia 2008 roku, a zatwierdzony został na tej funkcji decyzją W.B. Patriarchy Gregoriosa III, przekazaną mu przez Legata Patriarchy, Przew. ks. prałata Joana Evangelistę Jarque i Jutglar, Kapelana Jego Świątobliwości Papieża w Bazylice Santa Maria in Cosmedin w Rzymie, dnia 13 października 2008 roku. Wielkim Przeorem Generalnym OMCTH jest br. Werner Rind, KGCTJ, Wielki Przeor Niemiec. Wielce Błogosławiony Grzegorz III Laham, Patriarcha Senior miast Antiochii, Aleksandrii i Jeruzalem, Cylicji, Syrii, Iberii, Arabii, Mezopotamii, Pentapolis, Etiopii, całego Egiptu i całego Wschodu, Ojciec Ojców, Pasterz Pasterzy, Biskup Biskupów, Trzynasty spośród Świętych Apostołów, Patriarcha Melchickiego Kościoła Grecko-Katolickiego w pełnej jedności z Rzymem.